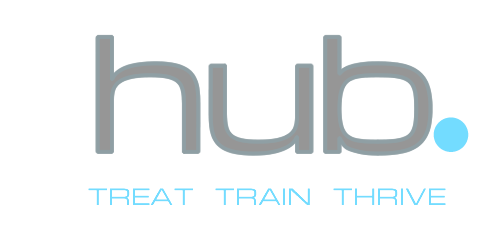 At Hub we not only offer fast, effective treatment for your pain and injuries but we will work with you to develop your health and fitness to ensure you come back stronger. With a wealth of experience of all levels of sport, our team are here to keep you injury free and to push you to perform at your absolute best. A new health & fitness challenge. Challenge yourself and feel great, move well, feel pain-free, look healthy and THRIVE. Click the logo above to find out more!